Great news this week as Transport for London has backed down on plans to close London Overground ticket offices. 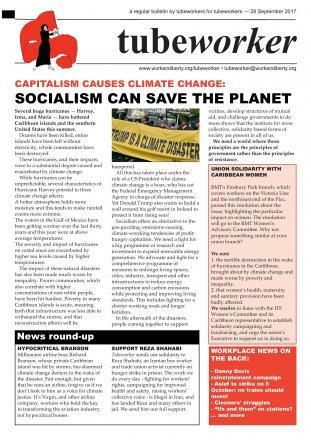 This follows an active campaign by RMT, and by local Labour Party branches in the areas affected. Reps and activists handed out thousands of leaflets, travelled round the various stations affected and made themselves seen and heard. They made the case that ticket offices are essential for people to safely access the network and for protecting jobs. Read more about Ticket Offices Saved! Resist ticket office closure on London Overground! London Overground, operated by Arriva Rail London on a contract from TfL, is planning a mass programme of ticket office closures that closely resembles the "Fit for the Future" scheme we went to war against on London Underground in 2014. RMT has launched a campaign against the closures, with a day of action planned on 3 October. Read more about it here. 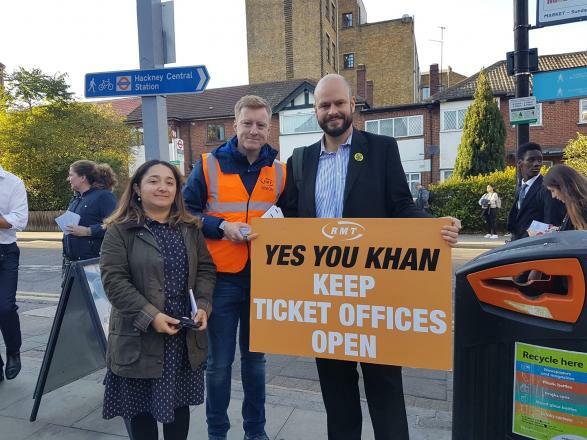 Read more about Resist ticket office closure on London Overground! LU's obsession with profit and increasing private revenue streams on stations reached new lows this week as a self-service currency exchange machine was installed at King's Cross St. Pancras, effectively obscuring the 7/7 memorial plaque. The closure of ticket offices has led to numerous problems for both passengers and staff. We all know how frustrated the punters get when the machine keeps their money after timing out, or when they can't resolve issues they previously could have done with a ticket office. Read more about Just The Ticket? We have been receiving messages from our respective unions telling us that this week's strikes are off, with an explanation that talks are making "progress". Perhaps we are supposed to just accept this without wanting to know more, but rank-and-file Tube workers do want to know more, and local reps are being pressed for answers that they do not have. It is good to know that progress is being made, but surely this has happened because we had industrial action on, logically suggesting that keeping it on would lead to more progress. Two trial closures of Lancaster Gate Station ticket office resulted in chaos for customers and abuse for staff. On the first day, the station was short staffed. No additional management were sent to assist. Staff were verbally abused. On the second trial day, the ticket machines broke down; staff ended up allowing people to pay at their destination. Our "Passenger-Operated Machines" (POMs) at Tube stations have recently been re-programmed to keep hold of the money, or charge the punters' bank accounts, in the event of a "failed sale" (where the desired and paid-for ticket or Oyster product doesn't arrive). So a customer takes a bit too long buying a ticket from a machine, and gets timed out. So you can give them their money back, right? Well yes, but only if you have a ticket office. Which presents something of a problem in a company which has begun closing all its ticket offices. Cue abuse of staff and many rightly frustrated passengers. Hardly world-class customer service, is it? This is just a taste of the chaos that will engulf us if this carries on. Stop these ticket office closures now!